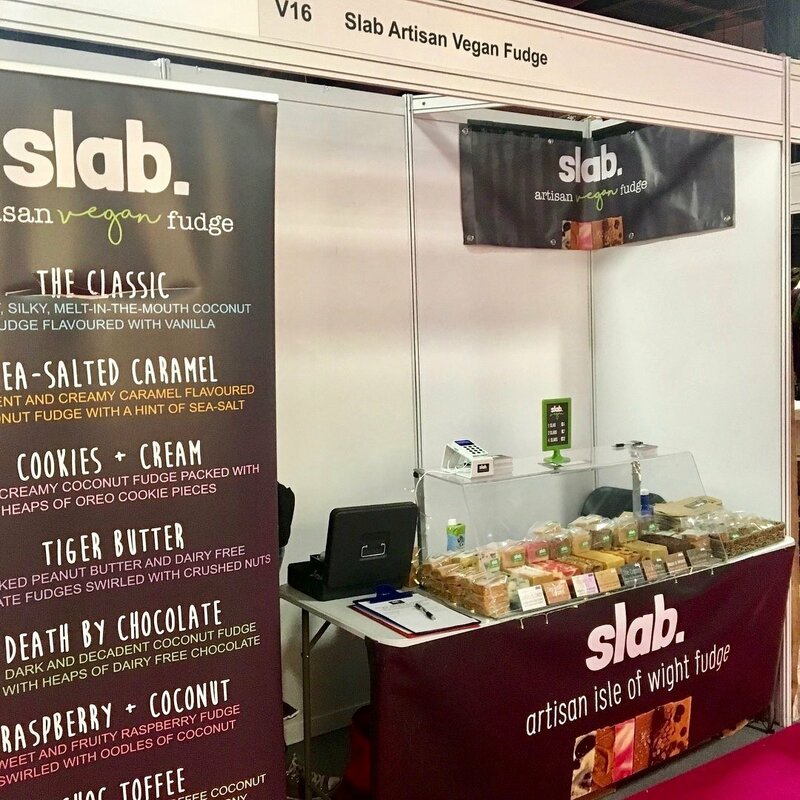 This was the 2nd year running that Slab have headed up to the capital for Vegan Life Live, a fantastic event celebrating all things plant based! We had a busy couple of days meeting lots of fudge lovers, check out these photos for a flavour of this great event. Hopefully we’ll make it next year for a 3rd year! Fancy Slab For Your Big Day! We recently received these pictures from a happy customer! We provided the Mini Slabs and the client did the rest, however if you would like us to take care of the lot then that’s fine. We will do our best to provide what you are dreaming of for your special day! A busy and hot month for Slab! Now just the Summer Holidays and Cowes Week to come in August … and hopefully lots more sunshine! Come grab a Slab at 13 Bath Road, Cowes. We had an absolutely cracking weekend up in London for the Vegan Life Live show! 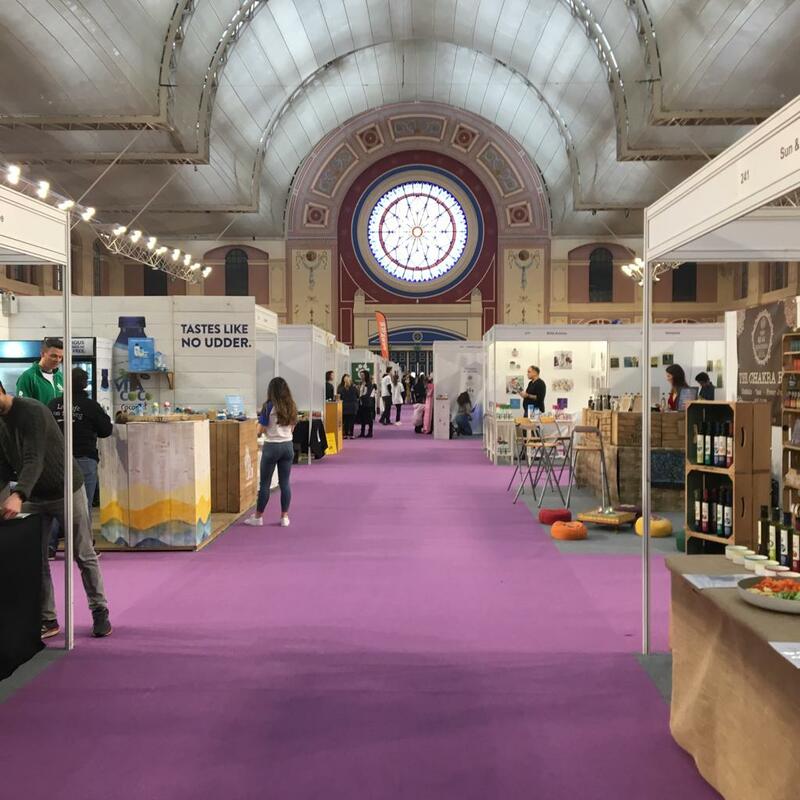 We met so many lovely people – both customers and fellow exhibitors. This is the first large event of this scale that we have attended and it’s great to know that we can meet the demand! We received some fantastic feedback and are so pleased to have been part of such a wonderful event. And now that we have stress tested the fudge operation, we can now look forward to the upcoming events in Brighton, Manchester, Bristol, Portsmouth, Southampton, Christchurch and Poole!!! 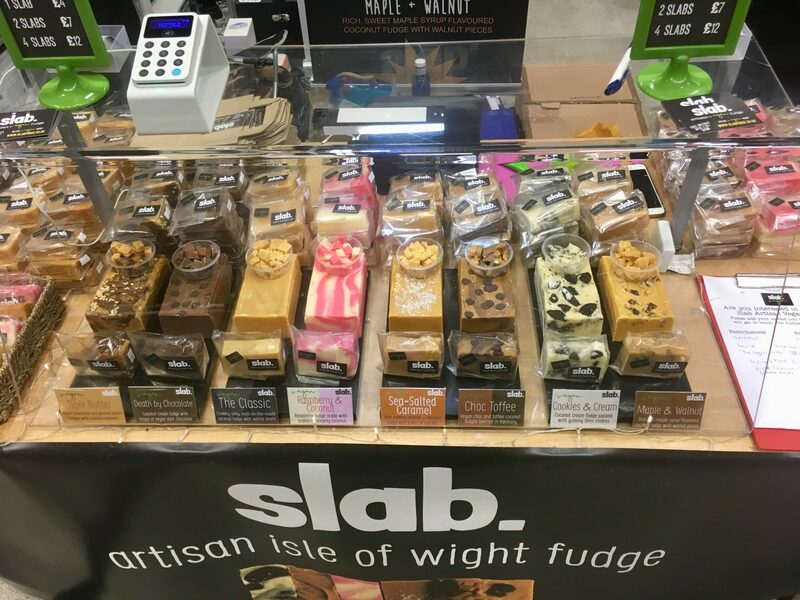 New Slab Artisan Fudge Shop For 2018! Welcome to Slab’s new home – find our new shop at 13 Bath Road in Cowes on the Isle of Wight. 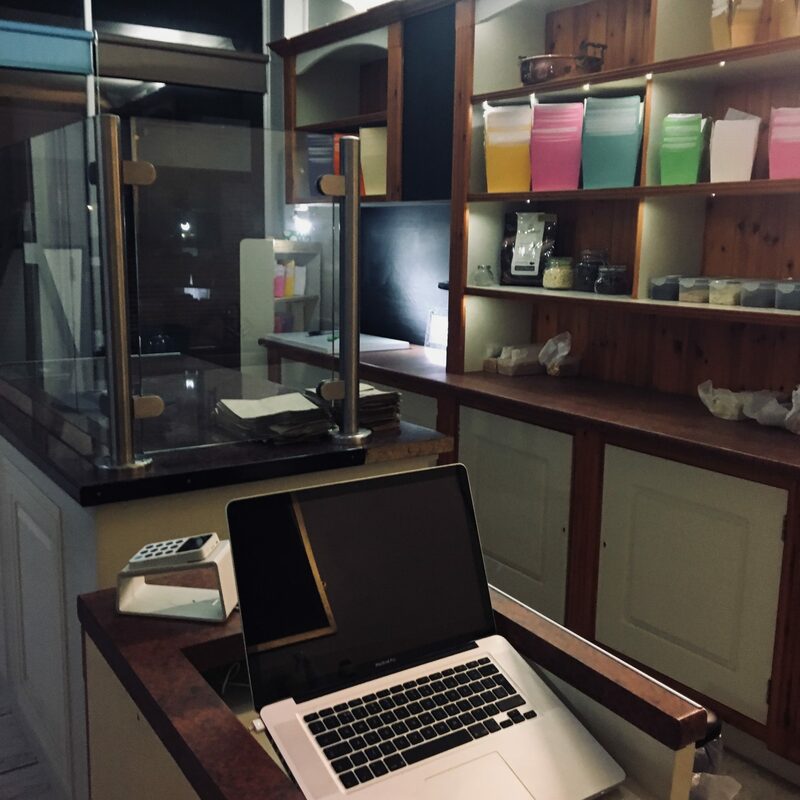 We aim to be fully open by the beginning of Spring, however we’ve already moved the fudge production down there so if you’re nearby pop in and I’m sure there will be some fudge samples available! We aim to always have our core flavours in stock – both in the dairy and vegan ranges. So whether you want to pop in or order online – we can satisfy your fudge requirements! 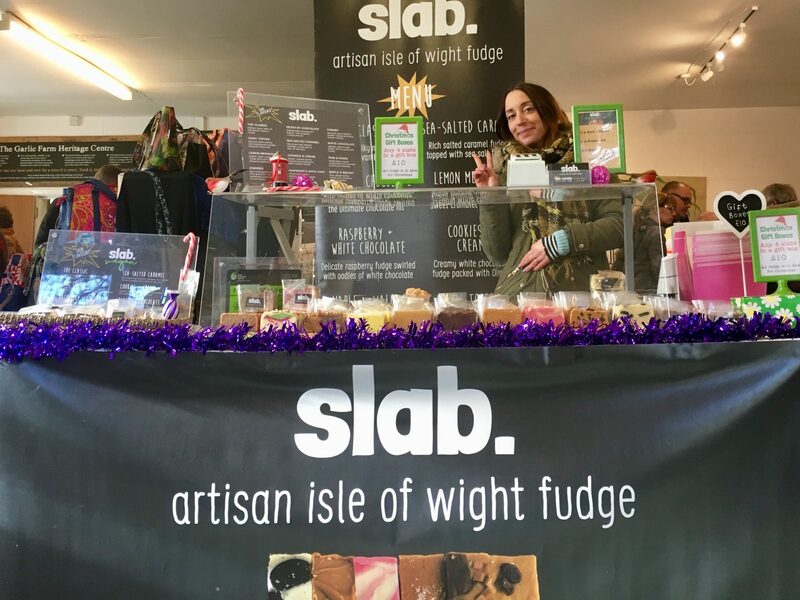 Slab got Christmassy this year at The Garlic Farm, for the I Love Wight Xmas Market. We had a fantastic weekend in this beautiful part of the island. Lots of fudge was also bought, hopefully making lots of people happy on Christmas Day! Free postage on orders over £10. Merry Chrimbo folks! This was Slab’s first fully vegan event and we were really excited to attend, but also a little nervous. We are not a 100% vegan company as we obviously sell our dairy fudge, so were slightly worried that people would wonder what we were doing there. However, we are pleased to report that our vegan range went down an absolute storm in Southampton, with us running out of supplies mid way through Sunday! And having had such a positive and enjoyable experience in Southampton, we are now booked up for VegFest in Brighton in March. And also VeganLife shows in both London in February and Manchester in April. So it’s already looking like a busy start to 2018! 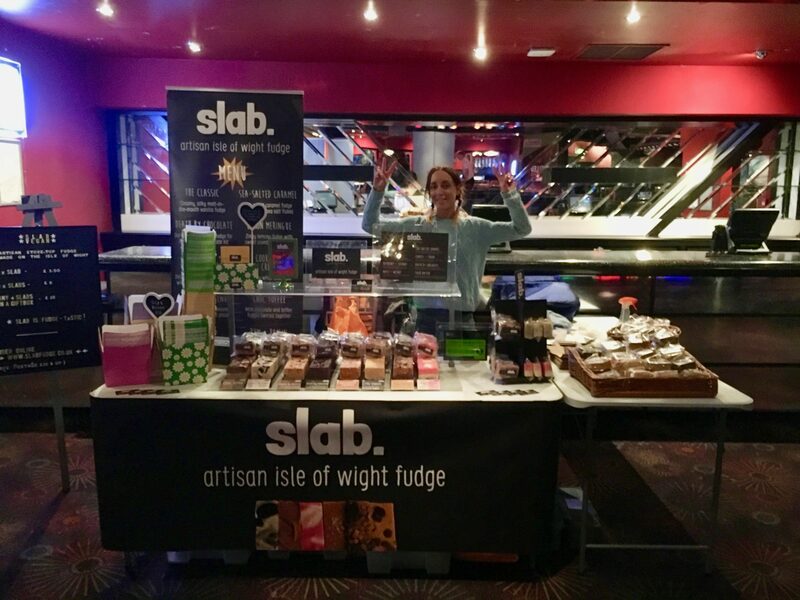 Time-lapse footage of the set-up of our Slab Artisan Fudge stall at the first Southampton Vegan festival this year. Vegan Slabs – Now available on the Slab website! We know what you’re thinking? What’s a company that uses dairy to make their fudge (full disclosure – we also run an ice cream shop!) doing making a vegan alternative? Well, it’s our thinking that if we can do our bit by offering a vegan alternative to our dairy fudge, which we believe is just as tasty, then that can’t be a bad thing, right! Made with coconut cream rather than dairy, we are using our fudge skills to try and make a truly fantastic vegan fudge, with more flavours to come soon. Creamy, silky, melt-in-the-mouth vegan vanilla fudge. Decadent and creamy vegan caramel fudge with a hint of sea-salt. Our richest chocolate vegan fudge – the ultimate chocolate hit!